Divco Delivery trucks were the vehicle of choice for American milk men, back when that profession still existed. 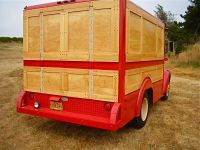 This one, posted by canadiancatgreen, looks like it may well be a food cart conversion, with those folding wood sides. And as tough and reliable as they are, after all these decades a breakdown can hardly be a shock. Brings back sweet memories of Mr.Breese and that delicious Home Town Dairy chocolate milk. Hey.. I have one of those, Hot Rod style… a “Hot Wheels” of course. My favorite all-time delivery truck! I’d like to see a CC write-up of Divco’s history, unless I missed it years ago. Quality Dairy Company, St. Louis. 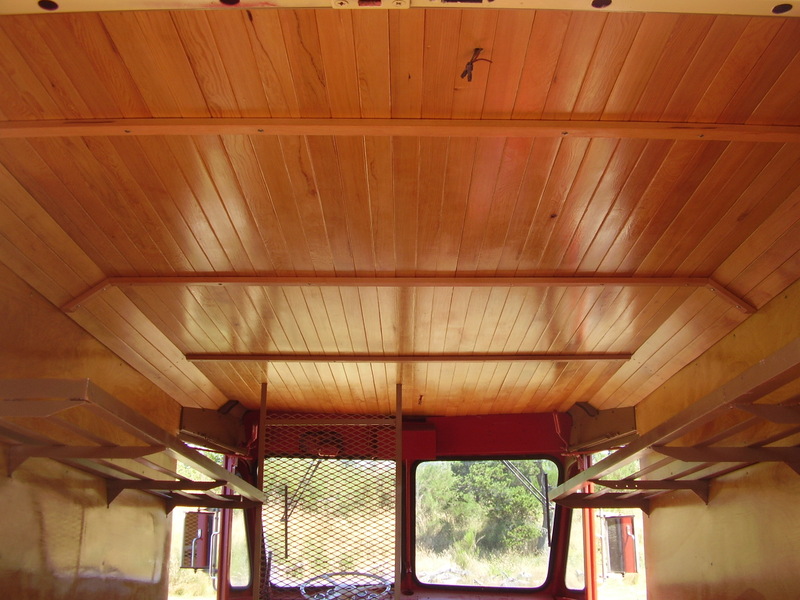 The driver used to give us little kids big chunks of crystal-clear ice on a hot summer day in the 1950s. in the ’70’s while in high school i worked for a trucking outfit. The owner did side jobs as well and that’s where i came in. We cleaned up a property that had a Divco with no engine. We chain towed the thing to his place with him driving a Ford tractor and me driving the Divco. We pumped up the tires and away we go. I don’t think it even had a seat. While going downhill i was gaining on the Ford and started to go into his back tires. i found out the brakes still worked. The Divco looks less old-fashioned now than it did 20 years ago. Lots of SUVs have similar (but wider) grille and hood shapes, and similar rear wheel wells. Christiansen’s Dairy in North Providence, RI still uses these (“1960-1980 Divco style trucks”), as far as I can tell. Divco payed a nice homage to the Airflow. I looked at a restored one here a couple years ago . being a late model it had the OHV Ford i6 engine . Still it was geared too low to be of much use except as an In Town delivery rig . It sold very cheaply on E-Bay , no way one could restore on for the same $ . IIRC , Divco was still making money when bad management bankrupted the company . What kind of engines did these typically use in the early ’60’s? I can still hear the sound of the milk truck pulling up, as seared into my 4 year old ears. Will today’s kids similarly remember the sounds of FedEx or UPS trucks, in a future when packages are delivered by drones? This saddens me. 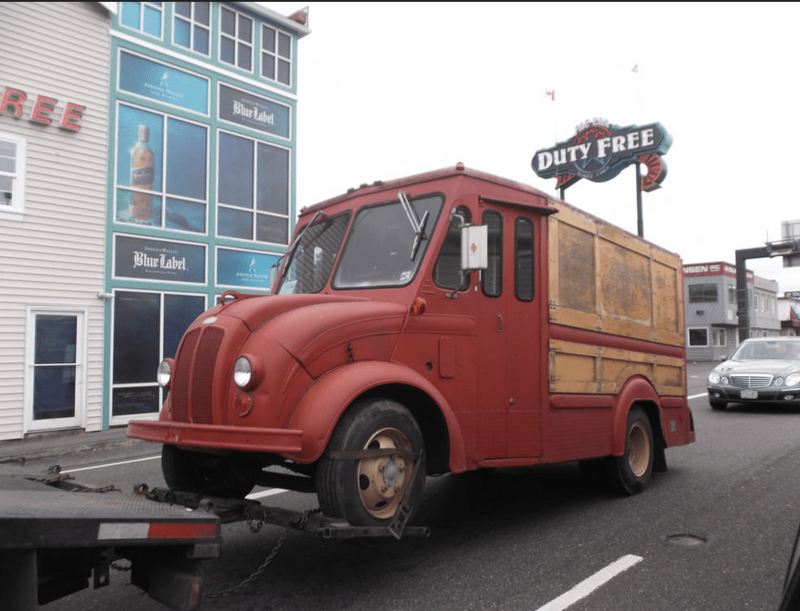 I bought that truck in Bremerton and trailered it to Seaside. 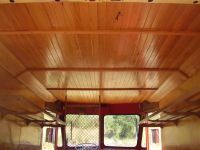 Spent the better part of a yr doing the woodwork inside and out. See pics– the inside is/was excellent! This one has a I6 Ford 300ci that is propane powered. The guy that bought it failed to change title, and I got parking tickets several times until I wrote the Judge. The outside might still be saveable. Please, someone buy it and bring it back! That’s gorgeous ~ too bad an idiot bought it . Dman ~ I don’t know about the 1960’s but the older Divco’s used Flat head engines , a bad thing . UPS , back when they ran Chevy 292 CID i6 engines , cut the mufflers off them when brandy new and installed glass packs ~ not terribly loud but very distinctive sound . Superb job, stevee ! I really admire that kind of craftsmanship. And what Nate says, what a shame that an idiot bought it. 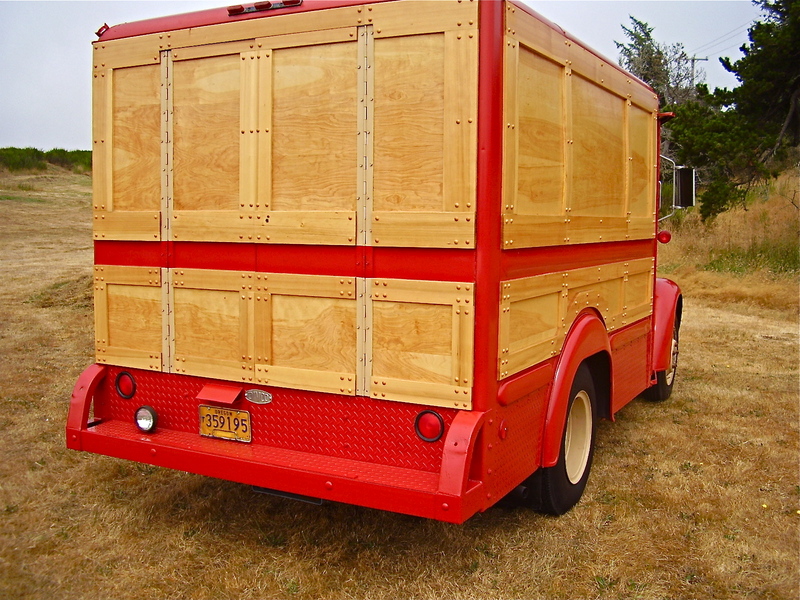 I’m too young to remember the days that wooden bodies were built on truck chassis, like below. GREAT pic Johannes ! . 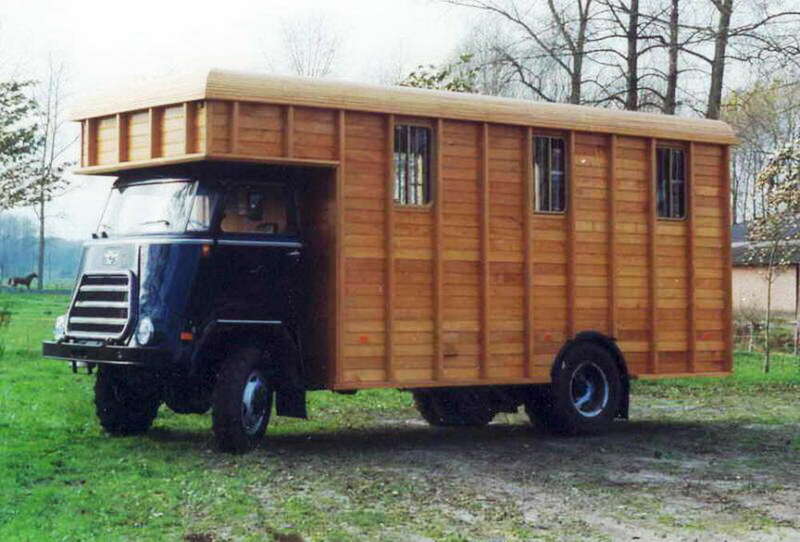 I wish I’da had a camera to take pix of the 1937 LaSalle that had been cut down into a truck then a tiny shingled house built on the back , this in the mid 1970’s when Hippies did such things as a routine deal . it sat unloved in a Shell gas station for a decade or so , I wonder what ever happened to it . Those numbskulls who don’t change ownership on motor vehicles really chap my bum ~ I’ve had a few that continually sent me parking tickets for DECADES , almost always from some @$$hat in San Fransisco .